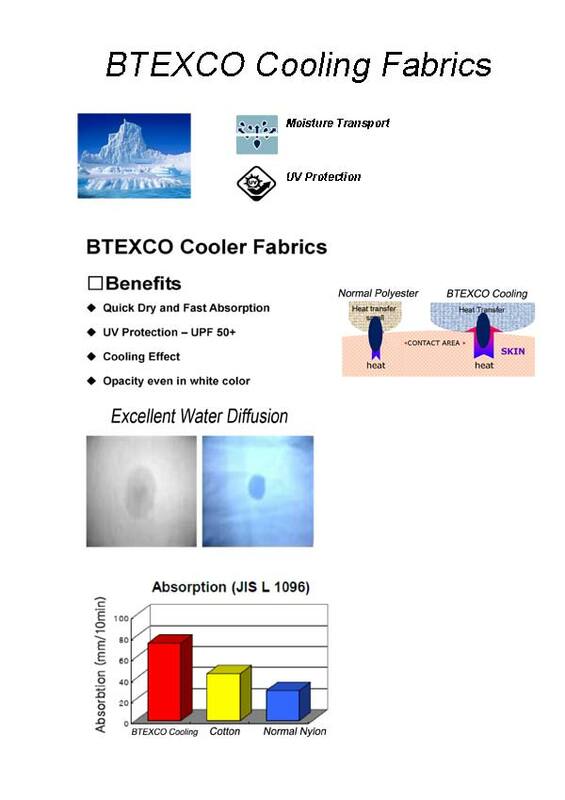 The cooling fabrics manufactured by Beta Textiles Co., Limited are able to reduce skin temperature by 2°C. Fiber: 70D/48F DTY cooling yarn + 75D/72F DTY polyester. Fiber: 40D/34F DTY cooling fiber + 20D lycra.